“Be quick to listen, slow to speak.” ―James 1:19 How would our lives change if we approached every experience with the intention of listening first? In this noisy, distracting world, it is difficult to truly hear. People talk past each other, eager to be heard but somehow deaf to what is being said. Listening is an essential skill for healthy relationships, both with God and with other people. But it is more than that: listening is a way of life. Adam McHugh places listening at the heart of our spirituality, our relationships and our mission in the world. God himself is the God who hears, and we too can learn to hear what God may be saying through creation, through Scripture, through people. 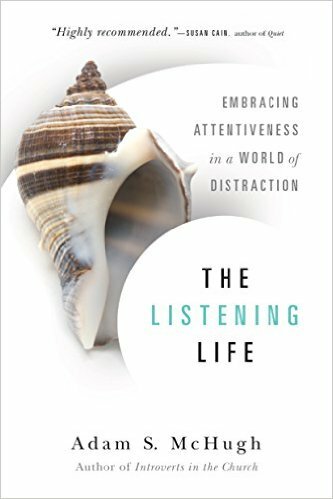 By cultivating a posture of listening, we become more attentive and engaged with those around us. Listening shapes us and equips us to be more attuned to people in pain and more able to minister to those in distress. Our lives are qualitatively different―indeed, better―when we become listeners. Heed the call to the listening life, and hear what God is doing in you and the world.